Life As A 5874 Apprentice – One Year On! During January/February last year, I was studying for my A Level exams and in the process of applying for university to do Fashion Merchandise Management. It’s safe to say I felt really overwhelmed at what felt like having to decide my whole future based on results I didn’t even have yet. I found 5874 around April through Creative Alliance and really liked the position they had to offer, especially considering Photography and Media Studies were my favourite subjects at school. Although I had never looked into Digital Marketing as a career option, it certainly appealed to me more than the Uni lifestyle and in my mind, it would give me a year to figure out what I wanted to do. So for me, 5874 appeared at the perfect time and it was a huge relief that they were happy to wait until my exams were over for me to start. 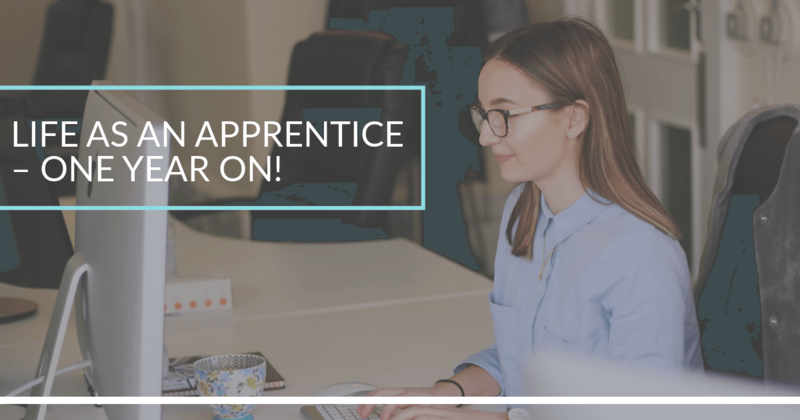 I started at 58 in July last year, now a year later I have completed my apprenticeship and have took the opportunity to stay on as Junior Digital Marketing Executive. I’ve learned a lot this past year from email marketing, to understanding BigCommerce and how eCommerce platforms work. One of my favourite things about working for 58 is that I’m not always stuck at my desk; I love days out of the office creating content for clients and participating in exhibitions – every day has something a little bit different to offer. I’ve really enjoyed my apprenticeship and it’s a great feeling knowing that I’ve been able to work full time while getting qualified in an industry I enjoy. The 58 office is a great place to work…even with Rich’s dad jokes, but he buys the biscuits so I’m not complaining! I’m really looking forward to seeing what lies ahead in my career with 5874.